Hazard Warning Lights (German: Warnblinklicht) are a mechanism where all indicator lights blink in unison. They are to warn other road users that you ar a temporary hazard. For example, if you have broken down on the side of the road, or you are changing a tyre. If you are being towed, you should use your hazard warning lights. Starting with 230SL VIN 012498 all W113 US-models were delivered with a hazard warning light switch installed on the dashboard between the steering column and the main light switch on LHD cars. The small diameter switch knob matched the other knobs in the 230SL whereas those in the 280SL where larger and matched the knobs in the 280SL. 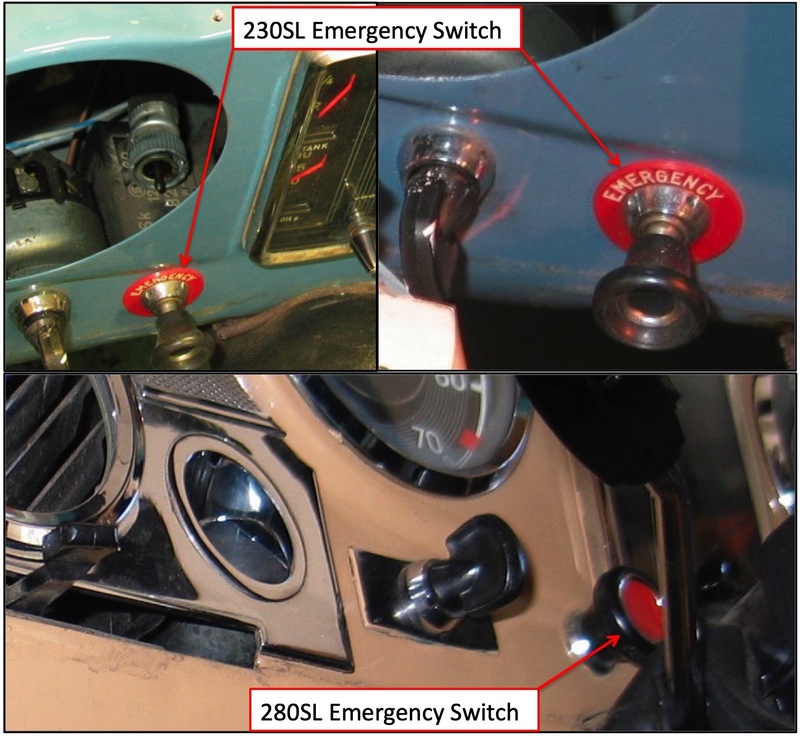 In the 230SL/250SL and until VIN 012089 in the 280SL the emergency flasher relay and the turn signal relay were separate units. After VIN 012089 both functions were combined into a single unit that had a small round center circle that was also illuminated. 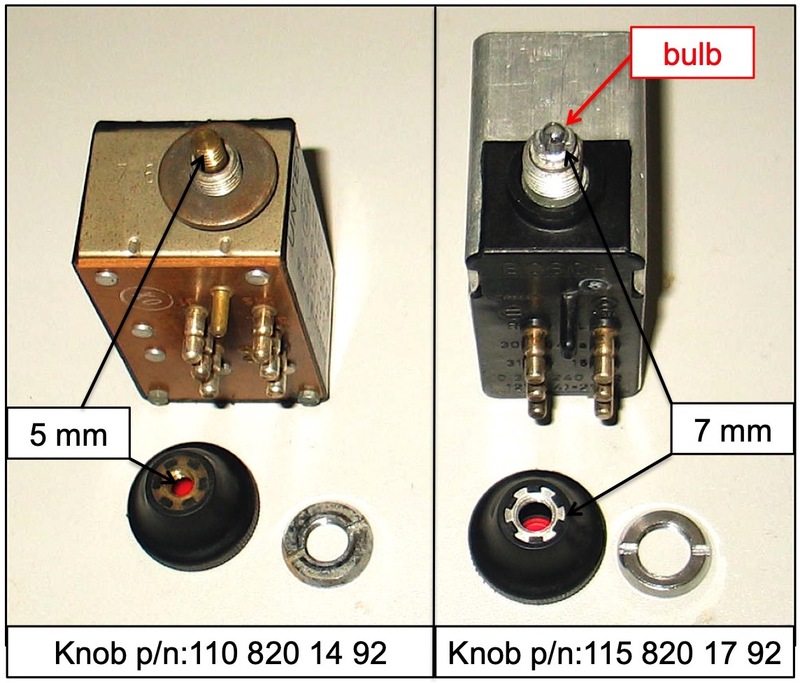 The knobs for the two 280SL switch versions are NOT interchangeable, they have different threads! Because several countries at some point in time required all cars to have emergency warning lights Mercedes offered a kit for subsequent installation of hazard warning flashers: Part number: 713 820 00 99. It consisted of a short harness, flasher relay, securing nut, knob and a circular red "Emergency" tag. The attached Mercedes installation instructions contain a template to mark the location of the switch location on the dash. 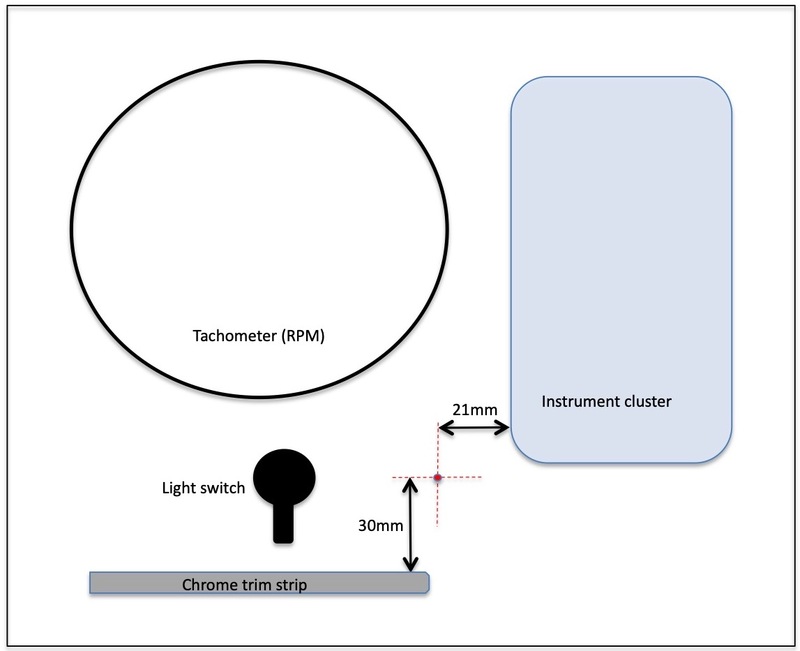 Here is another diagram from the web for the location of the switch. Compare this location with the one in the Mercedes template above before drilling a hole!